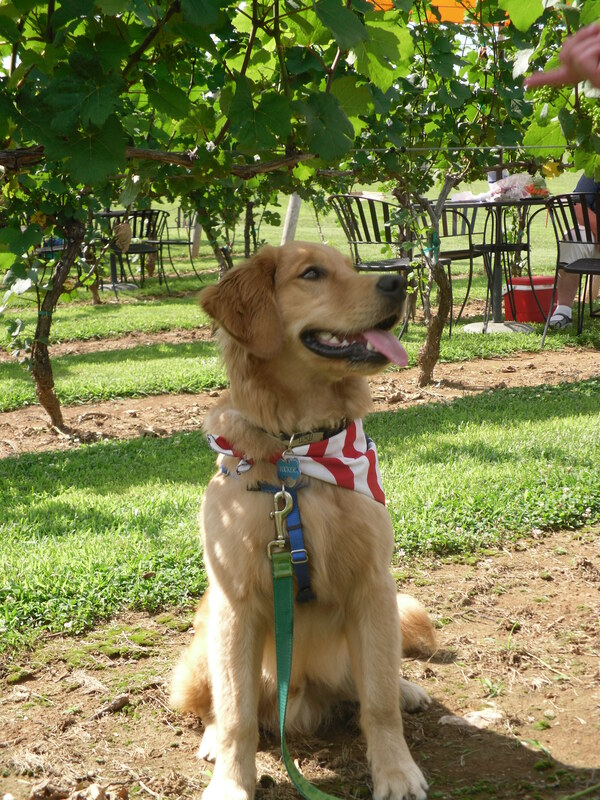 Wineries, World Cup, and Tucker, oh my! First I would like to apologize for not posting since Father’s Day. I had a work conference and then I was under the weather, and of course I had to spend time with Tucker! 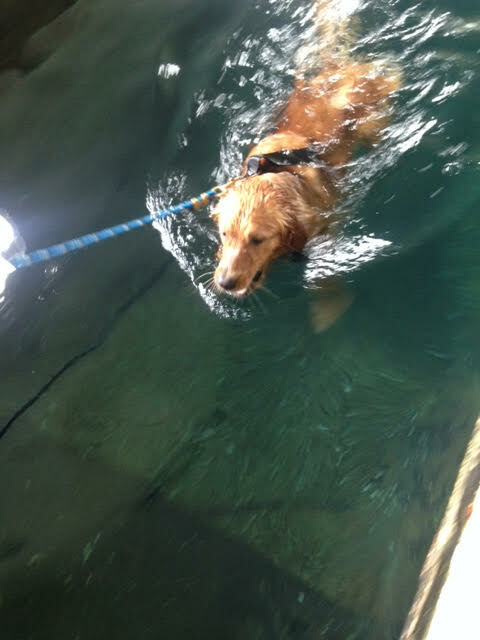 Tucker did well when I was away- it was hot but my husband did a good job keeping him occupied. So, let’s get into some of the fun things that have happened the past few days. The weekends we try to tire Tucker out as much as possible because as we say, a tired dog is a happy dog. FYI, the same thing works for husbands! Luckily the weather cooperated and it was not as warm or humid as it had been the previous few days. On Saturday we went to our last puppy playtime at our training center. Tucker was getting a little on the older side of the puppies and this weekend we are going to my parents house so we decided his puppy playtime at the training school will end and be replaced by more trips to the dog park and Canine Good Citizens classes in the fall. Then we had some longer walks in the neighborhood but Sunday was our Funday! 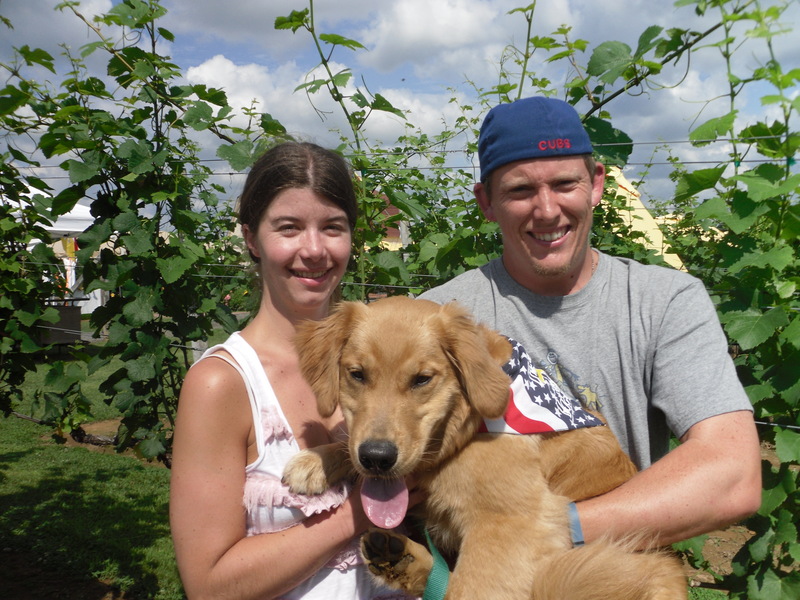 One of the best things about living in the DC area is the abundance of dog friendly places. 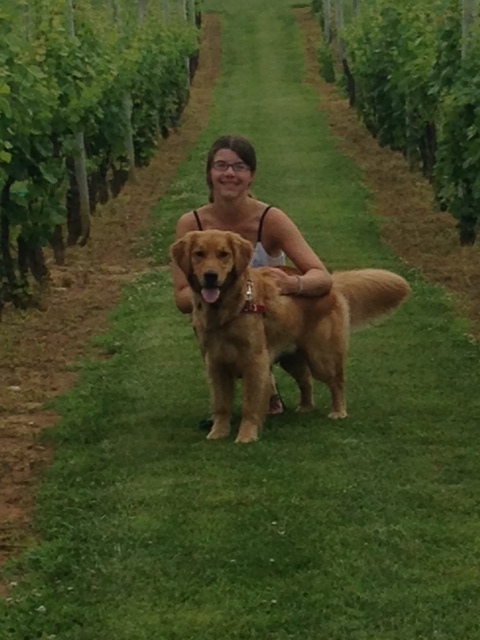 We visited three dog friendly wineries: Barrel Oak, Fox Meadow and Three Foxes. We had been to them pre-dog, but having Tucker there made it so much nicer! Barrel Oak was our first stop and it was huge! They were having a cocker spaniel rescue adoption day among other things and the place was crawling with other dogs. One of the nice things was that they had several wine tasting areas set up- inside and outside. While I wasn’t the biggest fan of the wines there, I did love the atmosphere and would love to go back. Our next stop was Fox Meadow and while we didn’t do a tasting, we did sit on their gorgeous patio and have a glass of wine while Tucker enjoyed his Himalayan Dog Chew. Our last stop was Three Foxes. This one was by far my favorite. Like Barrel Oak, they also had outside tastings with super friendly staff. After the tasting, we actually sat in the vineyard and had some food. If you like wine, I would definitely recommend all three! 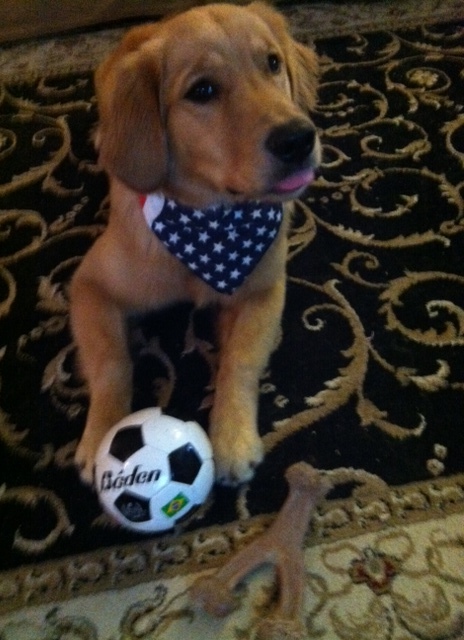 Tucker is also actively watching the World Cup! Today, I tweeted a photo of Tucker to the Today Show and they retweeted it. Tucker is famous! This weekend we are taking tomorrow off and going to PA to visit my parents and their two goldies so Tucker will be in heaven and it will be another fun and tiring weekend for him. Now here’s a question for my readers: What do you do to tire your dog out, especially if there is warmer weather? How about chews and bones? What do you give your pup?